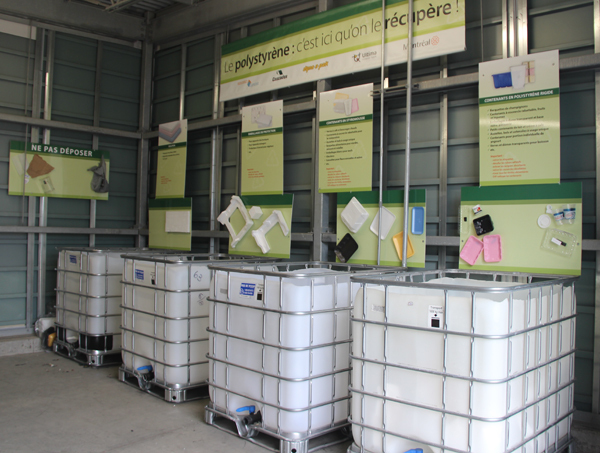 A new polystyrene recycling project in Lasalle. Tell me, you wouldn’t happen to have seen a number six in your recycling bin, by any chance? What do I mean? Well, you know, the six! The plastic that has a number 6 stamped under it. We can now bring it to the Écocentre LaSalle—they’ll be collecting it during 2013–2014. Why don’t I just drop it directly in the recycling bin? Ah, that’s because not all municipalities recycle it. Yes, I know it’d be simpler to just put everything in the bin. The issue is with transport. Polystyrene is so light that transporting it costs more than its own worth. But that’s a problem the plastics industry wants to solve, and to do this, the polystyrene recycling pilot project is essential. Although finding markets to recycle polystyrene is a bit difficult right now, the polymer still has many advantages, including its versatility, which means you’ll find it in several products and forms. For example, it can be shaped into individual yogurt cups, mushroom trays, disposable utensils or CD cases. It can also be expanded to make foam trays used to package meat or even make protective packaging for electrical appliances (that’s the kind of packaging that leaves little white bits all over your living room when you take your new TV out of its box!). 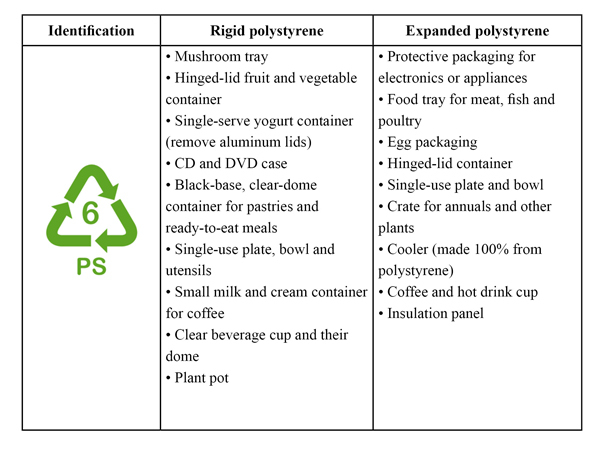 You’ll find a more comprehensive list of products made from polystyrene below, but don’t forget to look under the packaging you come across for the number 6! Clean those items, gather them up and bring them to the écocentre! Cascades is proud to partner with the city of Montréal and the Canadian Plastics Industry Association to implement this project.